Have you ever booked a skip bin hire in Sydney West, only to have the company come and pick up your bin before you had finished with your renovation or worksite cleanup? Alternatively, have you ever filled a skip bin in just a day or two, only to wait another five or six days for the rental company to come and collect it? At Skips 365, we know how frustrating it can be to have inflexible skip bin rental periods. That’s why our hires for skip bins in Sydney’s Inner West are designed to be more customer-friendly. Like any other skip bin company, we arrange each bin hire on a limited rental basis. We find that most of our customers can finish their site clean-ups in a week, so we set the standard skip bin hire length at seven days. With that said, we are always willing to change the pickup date for your skip bin if necessary. For instance, if you fill your bin in three or four days and don’t want it taking up space in your driveway, just give us a call. In most cases, we can swing by your home, office or worksite for a same-day pickup. Similarly, if the week of your skip bin hire goes by and you still aren’t done with your project, just let us know. We can arrange longer hire periods if you need your bin for another few days or even another few weeks. We also make it easy for our clients to change their plans on the fly. Perhaps you ordered one skip bin but determine after the first day that you need another skip bin for another part of your worksite? If so, you can just hop online and book another skip bin. As long as we receive your reservation by midday, we will very likely be able to deliver it on the same day. We deliver throughout the Sydney area, to 850 different suburbs, so whether you need a skip bin in Parramatta or the Inner West, we can help. If you think you are going to need to keep your skip bin for longer than seven days, or if you need a skip bin pickup ahead of your original day-seven pickup date, just let us know. 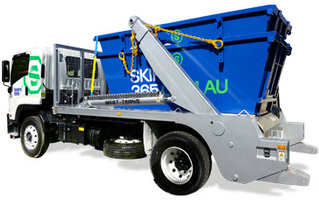 You can arrange the specifics of your skip bin hire by calling Skips 365 on 1300 762 362 or by sending an email to enquiries@skips365.com.au. You can also let us know if you need to order a second bin or if you require a full bin replaced with an empty one. Don’t delay: book your skip bins in Parramatta or Sydney West! To arrange your reservation online, click here. With the added flexibility of our skip bin hires at Skips 365, you will be able to find the perfect arrangement for your project.